Fuel prices make us all nervous, and fuel consumption is an increasing issue for drivers and fleet owners to understand. 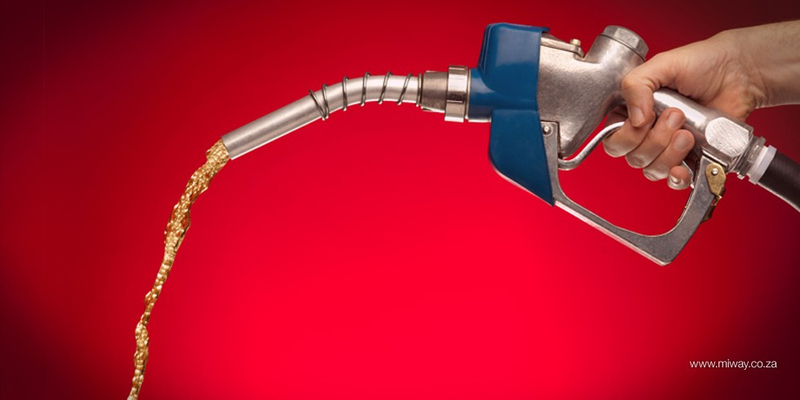 Even if you’re running a fleet of one handyman vehicle, fuel is a major business expense. Stay on top of your maintenance. Stick to your vehicle’s recommended maintenance cycle to ensure that your engine is working optimally. Regular maintenance means that minor problems are caught before they become major ones. A dirty engine also burns fuel less efficiently, raising consumption levels and increasing pollution. A weekly inspection will alert you to emerging problems. This should include checking for leaks underneath the vehicle and cracked or damaged wiring harnesses. Oil levels should also be checked along with filters, separators, hoses and belts for signs of wear. It also pays to ensure that exhaust connections are still solid. Finally, ensure that tyres are in good shape and are inflated to the correct level—the latter has a noticeable impact on consumption. Remember to also make sure that you are sufficiently insured for your fleet or business’s unique needs. Insurance is there to ensure that your business keeps going and to minimise risks like losing business when your vehicles are not on the road. Open those windows! A study by General Motors suggests that air-conditioning always uses more fuel than having the windows open, despite the increased aerodynamic drag. Get smarter about route scheduling. A good telematics or GPS package will help ensure that drivers are directed to take the route that uses less fuel. Reducing the number of kilometres you travel in a year will make a corresponding reduction in the fuel bill for the vehicle, a saving that both individual drivers and large fleets alike will value greatly. Improve driver performance by changing driver behaviour. Even some very simple training can earn you significant fuel savings. The difference in fuel consumption between an efficient driver and an inefficient one can be as high as 35%. Again, installing a telematics unit can help identify and implement changes to driver behaviour. Observing real-time driver movements such as over-revving, excessive braking and monitoring idle time can help give you a better understanding of how to lift your team’s performance. Once you’re regularly tapping into driver performance reports, use the results to implement an incentive programme for drivers based on performance and good driving habits. Driving at a constant speed - Cruise Control can be handy. Understanding the impact of speed on fuel consumption. International studies have found cars and light trucks travelling between 60 and 80 km/h tend to use less fuel than travelling at either above or below this range. Noticeably, they also use 50% more fuel travelling at 120 km/h than at 88 km/h. Shifting to higher gears as early as possible. Using the accelerator judiciously – the harder one accelerates, the more fuel is used. As a rule of thumb, try not to exceed 2 000 revs per minute or level of highest torque. Avoid idling. Depending on the vehicle type, every 10 minutes of idling costs between 1/10th and 4/10ths of a litre of fuel. Make sure drivers switch off the truck when stopping for deliveries or pick-ups. Similarly, cut out unnecessary warming-up when a truck is first started. Many industry insiders say that these tips can save a substantial proportion of fuel costs, with some quoting figures as high as 20%. Educating drivers about how to maximise fuel efficiency is the necessary first step. In order to change behaviours though, it is necessary to change the culture within your team or driving community. This will require constant affirmation by means of incentives and, this will only take root if the top managers endorse the new way of doing things and are seen to be following it.